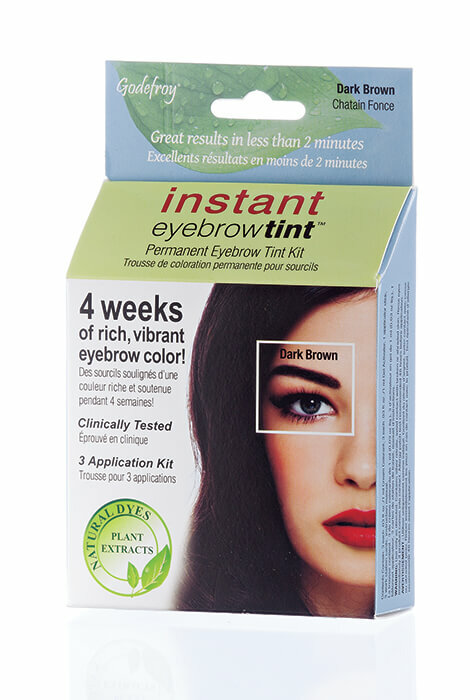 No more fussing with pencils, powders or fading color when you dye your brows with this instant eyebrow tint. Simple premeasured capsules assure perfect salon results in less than two minutes, covering even stubborn gray brows, and lasting up to 4 weeks! 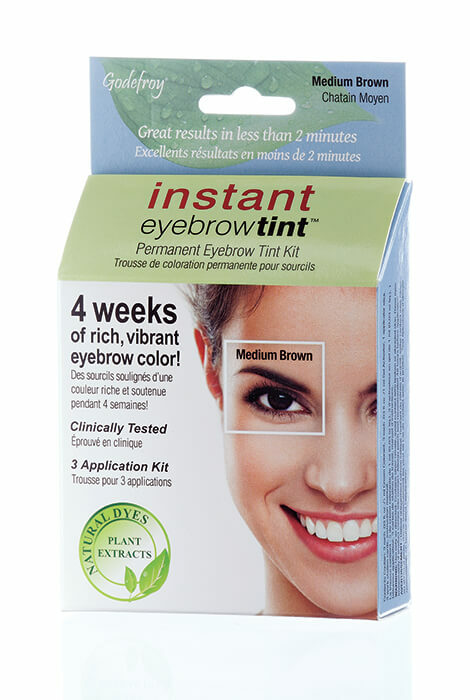 Eyebrow tint kit includes everything needed for 3 applications; ammonia-free formula covers gray 100%. I purchased the black color for my brows. My brows are thin and growing back slowly so the first application did color my brows, but it also stained the skin underneath. I had to wash gently the brow area several times to remove the stain. Overall, I consider this an excellent product that I will use again. I was quite pleased with the results. This is my second time ordering this product. I get my brows tinted when I get my hair colored but it does not last until next appointment. This produce helps me get to the next appointment and is very easy to apply. Results are great. I love this product. I was using hair dye before . I use the natural black shade which works quite well. I too had a problem with skin staining, but I found a solution that works well. My brows are on the thin side so instead of using the enclosed applicator, I use a small toothbrush. Using a magnifying mirror I lightly brush the solution on the brow hairs; brushing from inner brow to outer. It minimizes the staining and works perfectly. I gently work a cleanser to remove any stains. (Abolene works great; be gentle with the eye area). I give this product a GOLD STAR. Thanks for this awesome product. 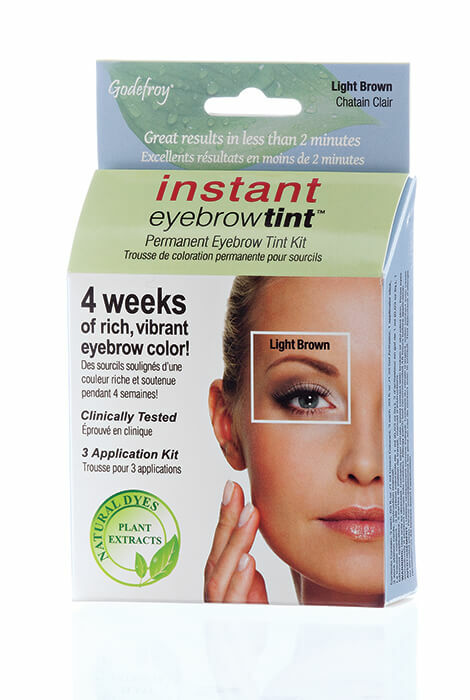 I USED THIS PRODUCT TO CHANGE THE APPEARANCE OF MY EYEBROW I WAS GOING TO A CONCERT OUT OF STATE AND THE RESULTS WERE A HUNDRED PERCENT EFFECTIVE I WOULD BUY AND RECOMMEND THIS PRODUCT AGAIN AND AGAIN I LOVE IT 10 YEARS YOUNGER IT IS STATING TO FADE BUT AND I HAD A LOT LEFT OVER HAD TO DISREGARD IT IS THERE AWAY TO STORE THE UNUSED MIXED AMOUNT POSSIBLY BY COVERING IT STORING IN THE REFRIGERATOR OR FREEZING IT AND SAVING IT IF SO FOR HOW LONG? I had to leave it on about 2x longer than suggested, but works and lasts about 3 wks. To get my brows tinted at beauty shop, it runs me $25. I save money by tinting my own brows, and it is easy to do. You just need to use Vaseline on the area around the brow to avoid tinting skin. Works great for eyebrows that are turning gray. I get my eyebrows tinted every month. Having this product and doing it myself will save me money. I want to try using a dye in the hope that it will, in fact, last for several weeks. The other powder is good for filling in the bare spots, but needs touchup each day. If the dye covers the gray, and I can just touch up with the powder, it will make maintenance easier. I wanted something to fill in my own brow line and one that would last. I usually have the tint down at the hair salon I go to. I thought to try this product..so I'll see how i like it. It looks pretty legit. I'm hoping it works better than the hair color I use for my brows. Have used something similar but had to buy it in the UK. Was very happy to find this product. I will try it and let you know what I think. Because I thought I got this from amazon but the seller sent me a new formula in envelopes that are not the same product!!!! So I'm hoping this is the original product that is actually shown in the picture!!! Works really well for grey clients! Very easy to use like this product. It had great online reviews. Very good product. Have used before. Easy to use and it lasts! I just love this product. I have used it for years. I have used this for years. 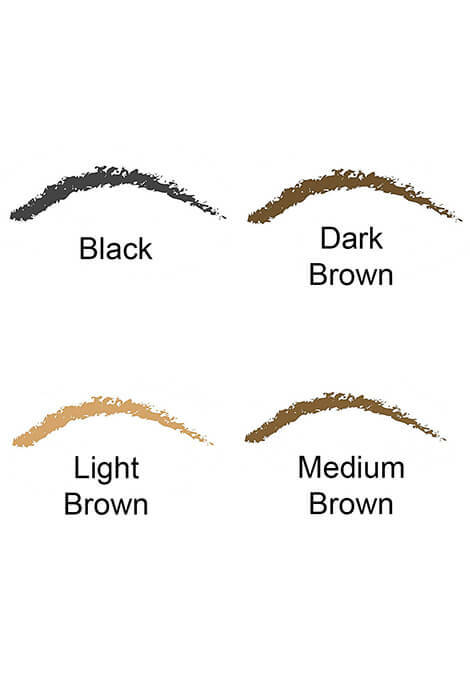 It's easy to use to sharpen ones eyebrow color, don't leave it on too long. THIS IS MY 1ST TIME TO TRY THIS PRODUCT. I HOPE IT WORKS. WISH ME LUCK LADIES.ð??? Product works great. Cannot find in retail stores. Have used it for several years and dearly love it. Good reviews. I have been looking for something that doesn't have to be applied numerous times a day and hopefully, this product will look more natural than an eye pencil. 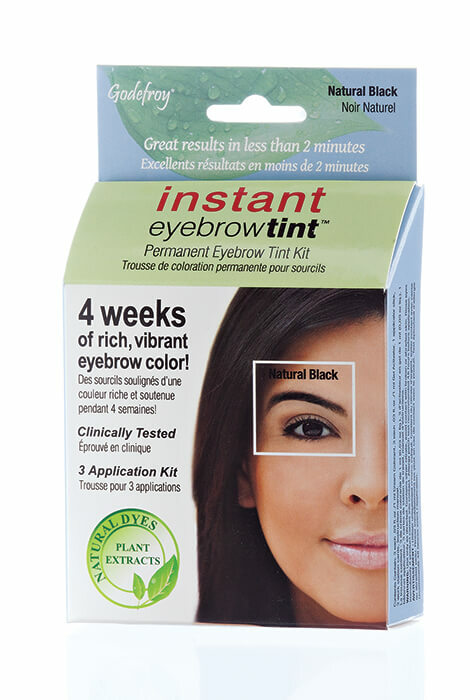 I have used this eyebrow tint with ease. I apply for 1 minute and time it with my phone. I am blonde and the light brown is perfect. I Googled on-line to find "the best" and up came dozens of options, videos, etc. Before I knew it, I had stumbled upon this wonderful new (for me) site and ended up ordering other things I had tried to find/ needed. I saw a YouTube video and she used this product, purchased it once already and I loved it. I just like my eyebrows to be darker and with a shaper shape. I usually fill them in and I don't mind doing that but I like to wake up with them already looking perfect! This is actually my first time trying this product. Based on the other reviews that I saw, the other customers are very happy with this product so I'm going to give it a try. I used it in the past. It was easy and I liked the color and results. My hair is white & what's left of my brows (front third is black) don't know what color to choose? will it stick to my skin where I don't have eyebrow hair? BEST ANSWER: I have very thin eyebrows so I do experience much staining. I have been able to minimize the problem by applying tint with a small toothbrush; using a magnifying mirror and brushing ever so lightly. I leave on for 3 minutes and remove as directed. I remove stains with a deep cleansing cream applied a couple of times (removing with tissue). Hope this helps. I have not had that issue. If you use caution when applying the tint, it does not stick to areas that does not have have. I use a Q-tip to remove excess from my skin and just leave the Tint on the hair itself. If you follow the directions and protected your skin with a thin layer of petroleum it will not stain your skin. No it will not stick to your skin. It works great! BEST ANSWER: Used this once so far. I have no known allergies. Had no problems and it was an extremely easy, fast process and no dripping in the eyes. The product stayed where it was applied. I will use it again. I don't have sensitive skin and didn't have any irritation from this product. I even let it sit on a couple of stubborn brows for 10 mins & had no issues. I have not had a problem. It is a very good product. My only advice is go lighter on the color than you think you need. I'm have very sensitive eyes and especially skin. I haven't had an issue with this.